The Western was the most popular genre of film in the Golden Age of Hollywood. It’s what film scholars relate to how superhero films are treated in this day and age. As with most cinematic trends, the Western faded and, with the exception of a few films from acclaimed filmmakers like Quentin Tarantino and Clint Eastwood, the genre never seems to connect with modern audiences. Renowned French auteur Jacques Audiard aims at bringing his own unique artistic sensibilities to the old west as a follow-up to his 2015 Palme D’or – winning “Dheepan.” The results are as triumphant, eclectic and revisionist as one might expect. 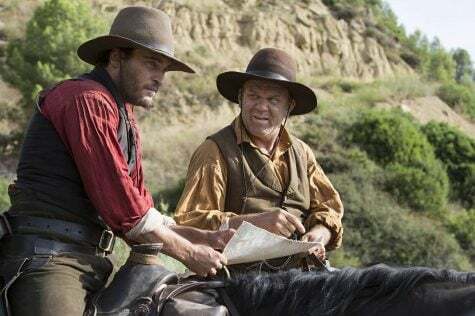 “The Sisters Brothers” stars John C. Reilly (also serving as a producer), Joaquin Phoenix, Riz Ahmed and Jake Gyllenhaal. The film is a ballad of two brothers, Charlie and Eli Sisters, who act as bounty hunters for the elusive Commodore. The plot emerges when the brothers are assigned to kill Herman Kermit Warm, an optimistic chemist who concocks a toxic gold-finding chemical and also seems to possess some stolen property from the Commodore. Things only escalate more after Detective John Morris enters the picture, and what ensues is a quiet and violent journey across multiple landscapes, tones and genres. 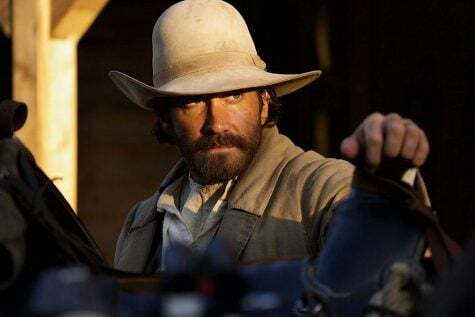 Audiard makes “The Sisters Brothers” anything but a standard Western picture. It’s a somber tale of fractured masculinity playing with the frameworks of a conversational horseback hangout comedy, a tense gold rush thriller and a moving family drama. Aside from some breathtaking, wide landscape cinematography, there is very little grandiose to Audiard’s wild west. It’s shown to be a lonely, empty and brutal place of existence, and these effects are shown to weigh on the psyches of Charlie and Eli. Joaquin Phoenix and John C. Reilly as Charlie and Eli Sisters, assassins in 1850s Oregan. “The Sisters Brothers” is direcetd by French filmmaker Jacques Audiard. Regardless of how the tones may shift or how the pace may start and stop at any given moment, Audiard never loses his grip on the core of the film. It’s a subversive dive into the natural cycle of greed, violence and sadness during the early days of American greed in the California Gold Rush. Charlie and Eli are bonded by their troubled childhood with a drunken, abusive father. Though their past is mostly unspoken, they wear the residual feelings on their faces and in their actions. Eli is thoughtful, calm, protective and open-minded. Charlie is brash, violent, impulsive, and stubborn. On the inside though they both long for something comforting and nurturing in the world that can offer them the peace their line of work has never been able to. Reilly and Phoenix turn in impeccable work. Their dialogue exchanges are livedin and have a natural, charismatic flow to them. Audiard was up for best screenplay at the Venice Film Festival this year and it’s for good reason. The banter between the characters is rich and filled with emotional and thematic layers that make the few action set pieces pay off even more. Unlike the dialogue, the action here is not drawn out for long sequences. Shootouts usually last no longer than one minute and are shown in stark, graphic detail. It’s a style of action that seems to track back to the days of Sergio Leone: spend less time on the action and more on the build-up and after-effects. In a genre that yearns for fresh creative energy, it is a pure joy to see someone like Audiard lend his own unique, reflective texture to the landscape of the west. It is a shame the marketing has sold this film as a shoot-em-up comic Western when in reality, it is a sublime combination of a lot of great genre vibes, culminating in a tale that wants to break away from the conventions of its own genre.